The properties of microwaves make them very well suited to dry materials in a fast and elegant way. 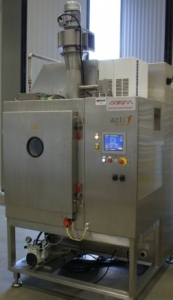 The modern microwave drying systems are all equipped with the necessary safety measures to ensure completely safe processing for both operator and product. 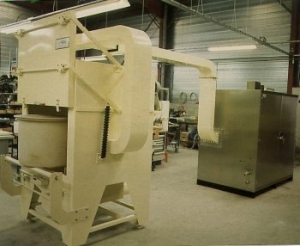 Careful design of the process parameters is necessary to obtain optimal results from the microwave technology in drying. Thanks to there expertise and know-how, SAIREM is able to offer a range of drying equipment assisted by microwaves and radio-frequency. This equipment associates microwave power with hot air, steam or vacuum, for excellent drying performance in several applications such as drying of pharmaceutical products, vegetal products, powders, ceramics, polymers and wood treatment etc. Ventilators to recycle air at variable speed adapted to process requirements. All equipment features easy access during maintenance operations.